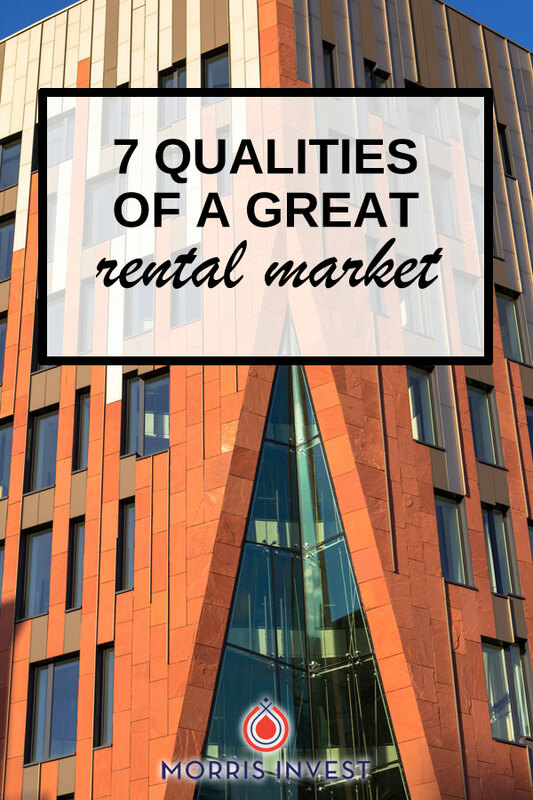 When you're searching for a great rental market, not just any city will do. And unless you live in a few select markets, chances are the best properties are not in your backyard. So how do you go about finding a rental market that will produce high return on investment? 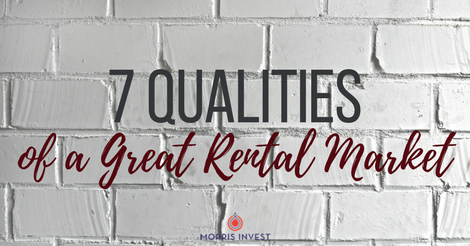 Here's a checklist that I run through to ensure that I've found an effective rental market that will allow me to bring in cash flow! Vacancy rate. This is important because a vacancy has the potential to be your biggest cost. Tenant turnovers are inevitable, but you have to consider how long it will take to get a new tenant into the property. Every month without a tenant is a month you aren’t collecting rent. Your goal should be to invest in markets where properties are quickly and consistently rented. Personally, I like a vacancy rate of about 5%. Taxes. I like to purchase my investment properties in states where property taxes are low, just a few hundred dollars per year. Remember, every expense comes out of your bottom line, and taxes are no exception. American-based infrastructure. I love average cities. Chain restaurants, long-haul trucking, hospitals, airports, universities, and distribution centers are all businesses I like in my rental markets. Think specifically about jobs that are not going overseas. Where there is job stability, you don’t have to worry as much in a recession. Lack of flood zones. If your investment is located in a flood zone, you’ll have an additional expense—flood insurance. And if a natural disaster does occur, your investments are gone. I don’t like that risk, and I don’t like that added expense. Affordable labor. I'm not interested in overpaying for labor. I'm able to find affordable labor by developing relationships with contractors. I provide my team with consistent work, and they work for a fair wage. It’s a win-win for everyone. Low cost of homes. Economically, it doesn’t make sense to acquire a rental home in a place like California. I can get the same home for at least half the cost in the Midwestern markets that I like. This way, I can purchase more investments and achieve that Freedom Number! Low crime rate. I want my tenants to feel safe in their homes. Remember, you can’t exclusively go off of crime data websites to get the full picture. Here are the five rental markets with the highest crime rates! Don't want to get out there and look for the right market? That's what we're here for! You can learn more about our process here.